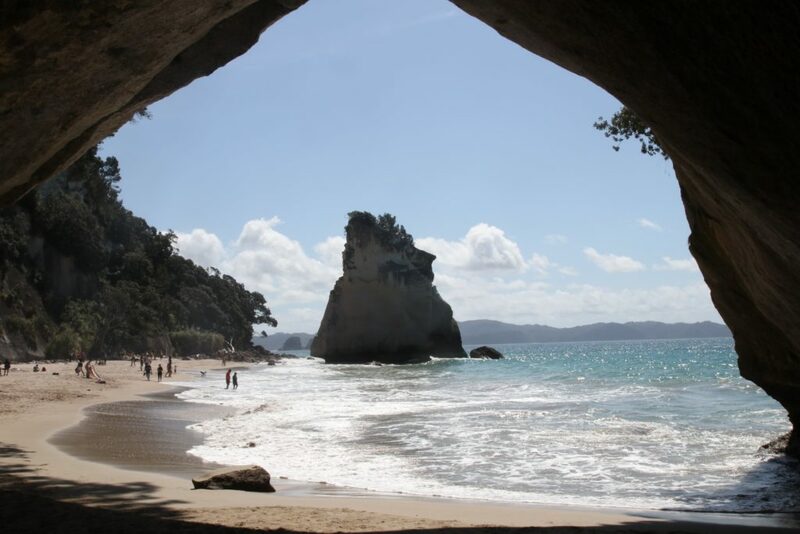 Before officially going on a road trip I wanted to see Coromandel and particularly Cathedral Cove one last time! 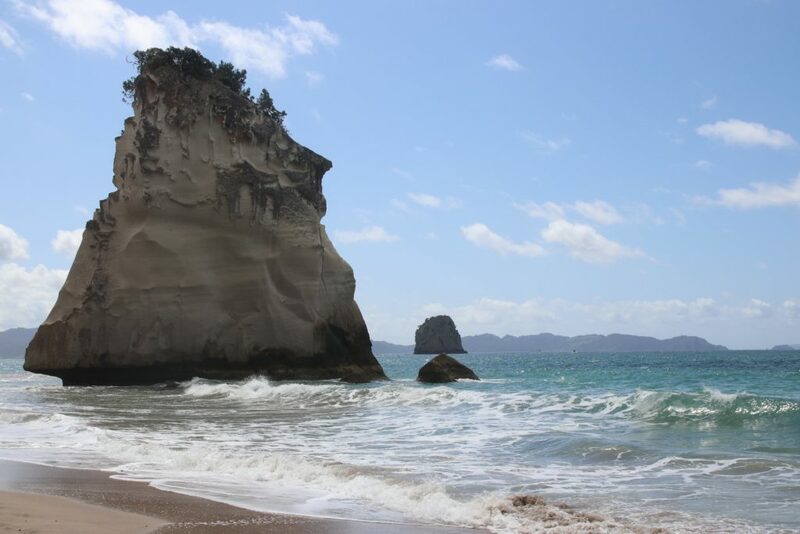 The Coromandel and its mythical Cathedral Cove are not really on the way to another destination. That’s why I preferred to make an express round trip from Auckland. 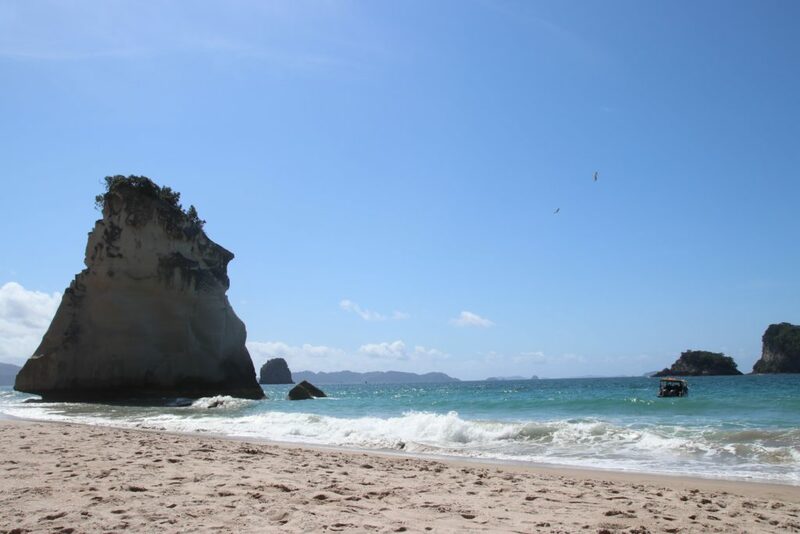 I probably would not have time to come back after … After the escape room organized by my collegues on the occasion of my leaving I drove directly to Whitianga. Well, almost, because the traffic south of Auckland on a Friday evening is quite congested, I preferred to leave around 18h. 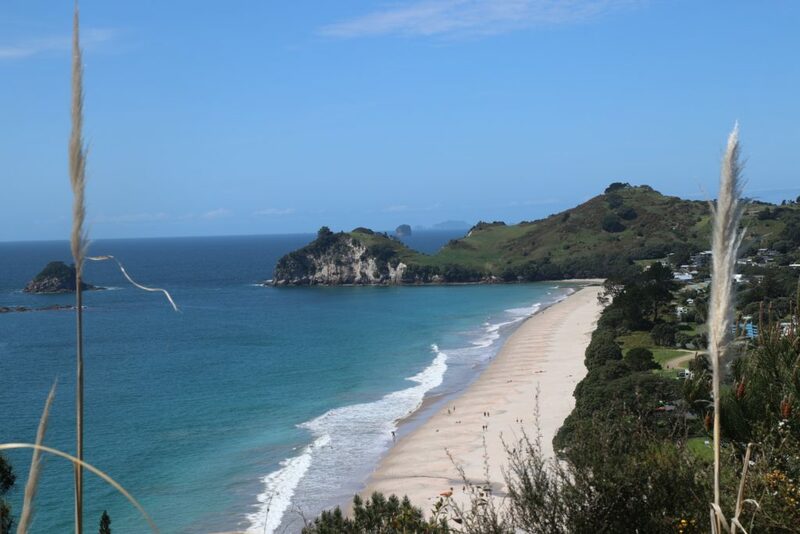 I arrived in Whitianga in the evening. The spot on the beach where I stayed for Christmas it was taken so I went on another parking lot in the city. 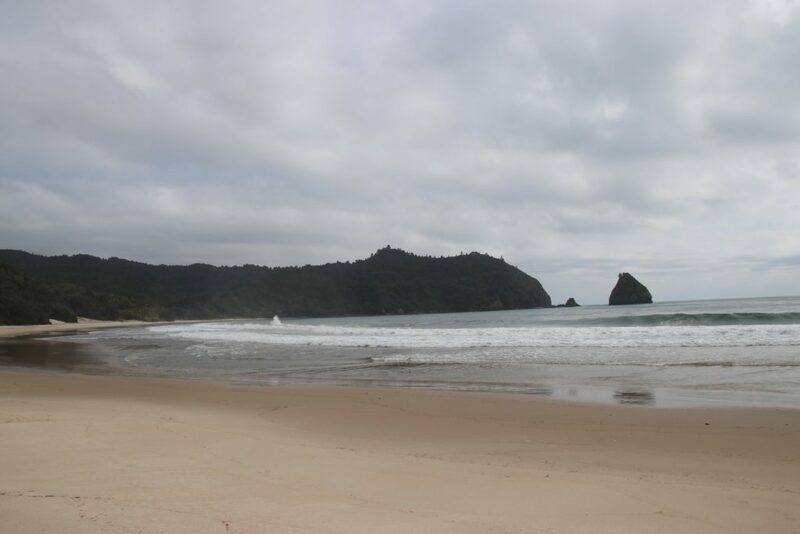 After checking the tide time, I planned my day of the next day: first New Chum Beach that I missed at Christmas and then Cathedral Cove. 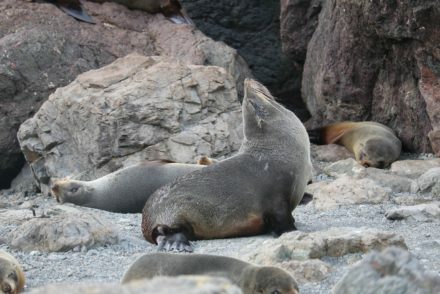 It is a beach accessible only at low tide! 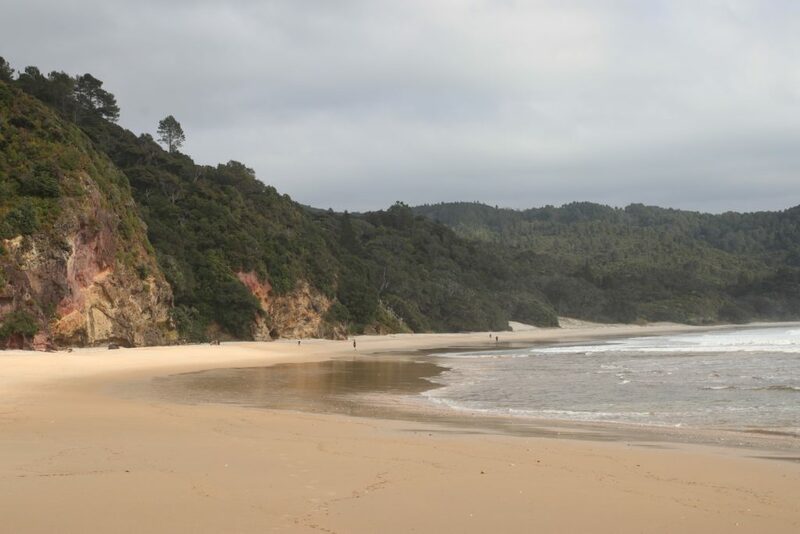 When you arrive at the car park (at the end of Mangakahia drive) a sign tells you how to reach this beach. First you have to go to a first beach. Then start walking on the rocks and then take a path on the left that runs along the rocks. Even close to low tide it will be necessary to wet your feet 😉. 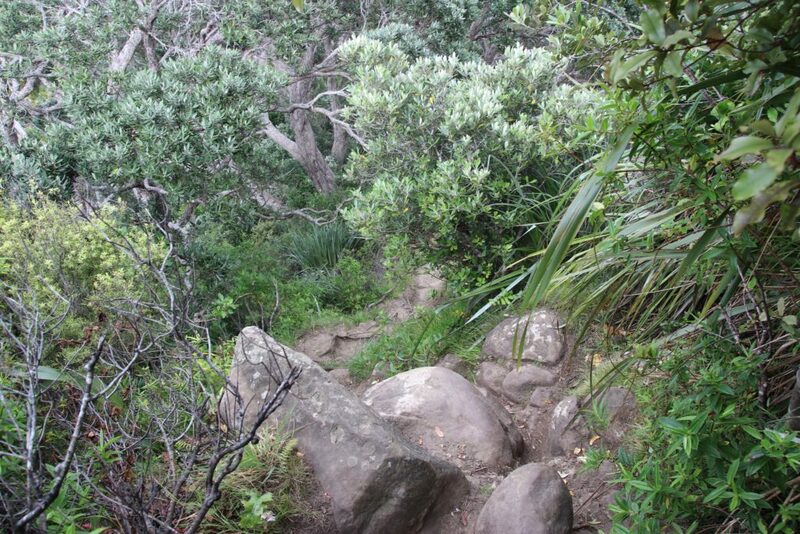 This path is not very visible so walk very close to the bush to find it. 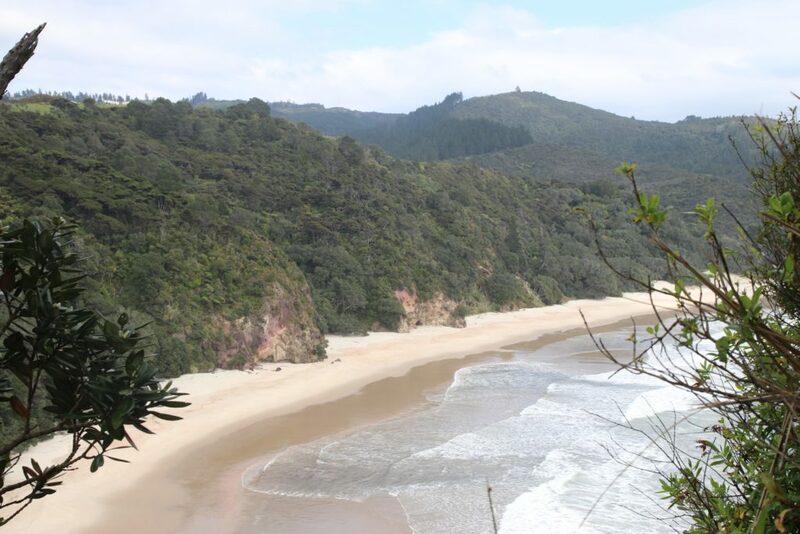 You will arrive then on this magnificent beach! Merci pour ces photos qui donnent envie d’y être ! Ça doit être magnifique . Oh mais c’est magnifique ! Merci pour ce joli partage ! Ça doit être tellement chouette ce genre de balade !!! Bon j’arrête de rêver ! J’avais adore mon passage dans le coin et Cathédral Cave quand il y avait peu de monde ! 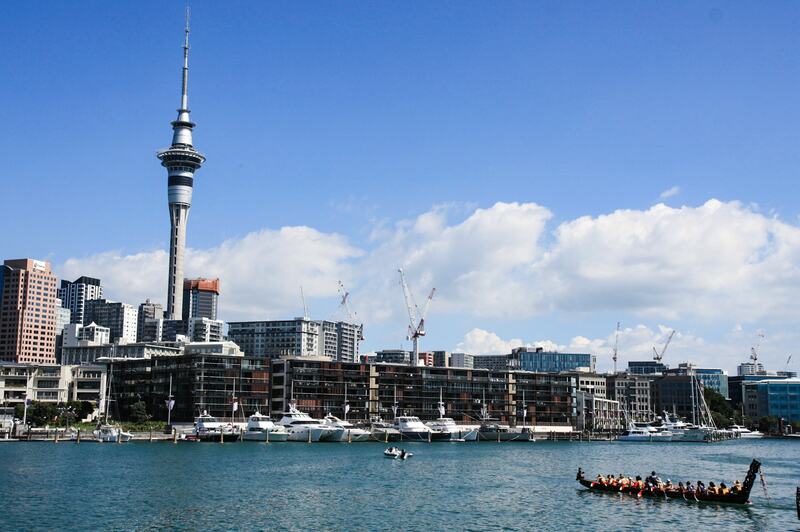 Tu es restée combien de temps sur Auckland ? 10 mois pour bosser. Beaucoup trop !! 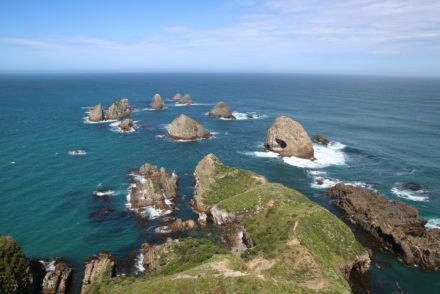 Les paysages sont à couper le souffle ! Whaou !! J’adore voyager entre les lignes! Très bel article! Les paysages sont magnifiques !! Tu as du en prendre pleins les yeux. Merci de nous faire rêver avec ces beaux paysages!